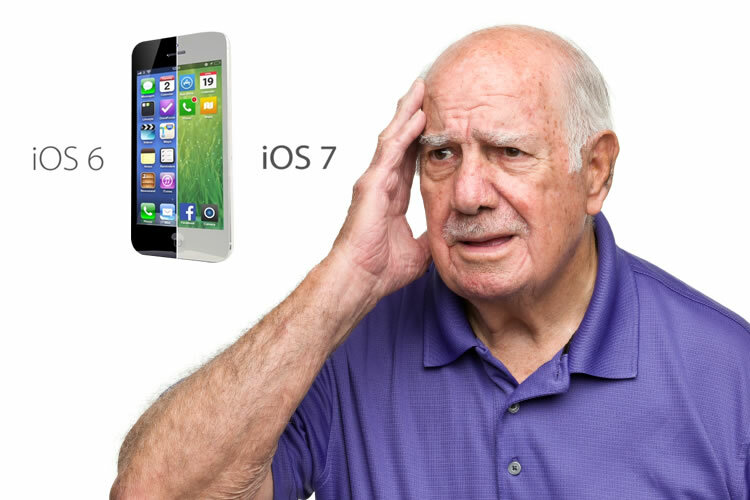 Apple’s latest operating system, iOS 7, was just released. I won’t bore you with all the dates that it was released and in which countries because you probably don’t care… but if you do, I found this article which states the release dates of iOS 7. Anyway, back onto the point of this article, which was about explaining the workings of Apple iOS 7 to the Silent Generation (1925 to 1942) and Generation X (1960s to 1980s). At this point in time, I know that my dad doesn’t want to know about Apple or Android smart phones, as he’s quite happy with his trusty Nokia. He’s actually not your typical Silent Generation / Gen X person, he’s quite tech savvy, but anyway. I know that there’s probably a solid number of Silent Generation and Gen X folks out there that have questions regarding the new update. Will iOS 7 answer my phone calls for me? Sorry, no. Will it transform my iPhone into a new phone? Not exactly. Will it cook me breakfast in bed? Uh, no! Come on, seriously people! Here’s a few possible questions that I believe that “old folks” and/or “non tech savvy people” would ask if they currently use an iPhone or iPad and are considering updating to iOS 7. How do I update my iPhone to iOS 7? And where should I do it? In short: updating your iPhone or iPad is very straight forward. Unfortunately not all Apple devices are iOS 7 compatible, so you might not be able to update to it anyway. Here’s an article listing all the Apple devices that are iOS 7 compatible. As for where you should do the update, try and make sure you’re connected to a Wi-Fi connection at the time. This should ensure that the update downloads as quickly and efficiently as possible. If you have to download the update via 3G or 4G, that’s fine, but keep in mind that you’d be using your mobile phone data. The iOS 7 update is quite large (about 728 MB), so if you go over your mobile phone data limit, you might find a nice surprise on your next phone bill! 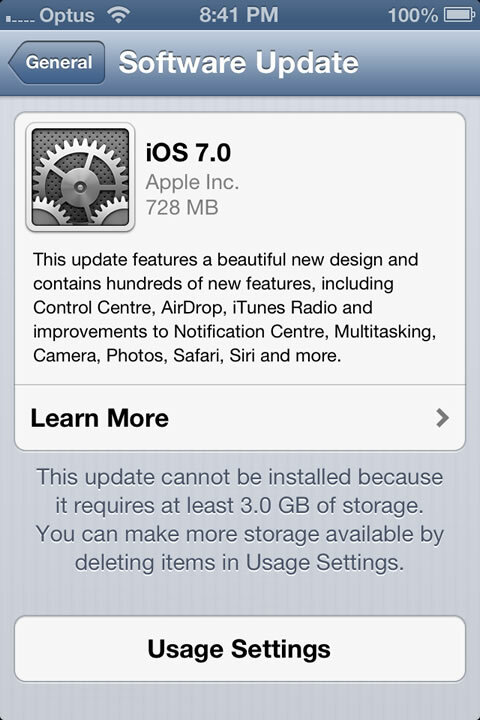 Keep in mind, you’ll also need at least 3 GB of storage available on your Apple device before you can download and install the iOS 7 update. Sorry, but that’s just how it is! So you might find that you’d need to delete some apps you don’t use anymore or some music you don’t really listen to anymore. Fingers crossed you don’t have to do that though! 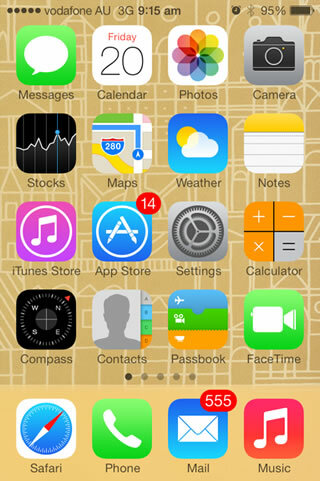 Will iOS 7 change “everything” on my iPhone? Well the update won’t change everything, but you should notice a few obvious changes. The main change being the new User Interface design of the entire iOS and every built-in app! With a fresh, new and clean overhaul of the design, Apple has “lost” their trademark look to a degree, but let’s hope that it was for the best. Some subtle motion and animations with layers and translucency which help to give the illusion of depth throughout. New and updated ringtones and system sounds. New typography and new colour palette. As for “everything else” on your iPhone, apart from the new design, there aren’t many functionality and usability changes. So you should still be able to work out how to use all of your favourite apps, along with the minor changes to the built-in apps, like Calculator and Calendar. What new features does the update have that would benefit me? AirDrop – You’ll need an iCloud account to use this app, but it allows you to share content fast and easily with people nearby. And you can securely encrypt transfers with no network or setup required. Unfortunately if you have an Apple device older than an iPhone 5 or iPad 4th generation, AirDrop won’t work. iTunes Radio – I can see this new streaming radio service becoming very popular. You can pick from 250 stations or start your own station from your favourite song or artist. The only catch is, iTunes Radio is currently only available in the United States… Lame! 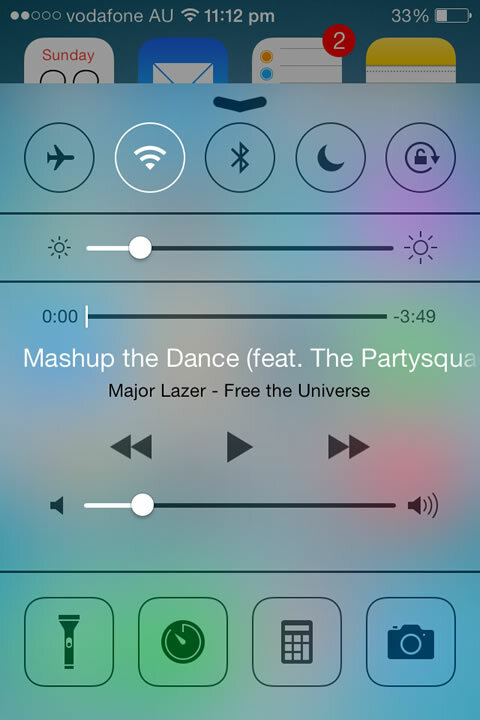 Control Centre – This is a very handy new feature! You can quickly access commonly used controls and apps when you swipe up from the bottom of the screen. From the Control Centre you’re able to activate and deactivate Do Not Disturb mode, Airplane Mode, your Wi-Fi and Bluetooth connections, the new Torch feature, music controls and more! Find My iPhone Activation Lock – Now with the requirement of your Apple ID password, you can securely reactivate and sign out of iCloud, turn off Find My iPhone, and erase your device. In this new iOS, has Apple actually made any improvements to some of the current features? Like I said in the last answer, there are hundreds of new features in the update, along with many new improvements to existing features. I could ramble off a heap of them, but here’s a few that I think people would care about the most. Camera – Not that there was anything that really needed “improving” with the camera (apart from the physical camera itself! ), there’s now a choice of 4 different camera modes. Video, Still Photo, Square Aspect and Panorama modes. 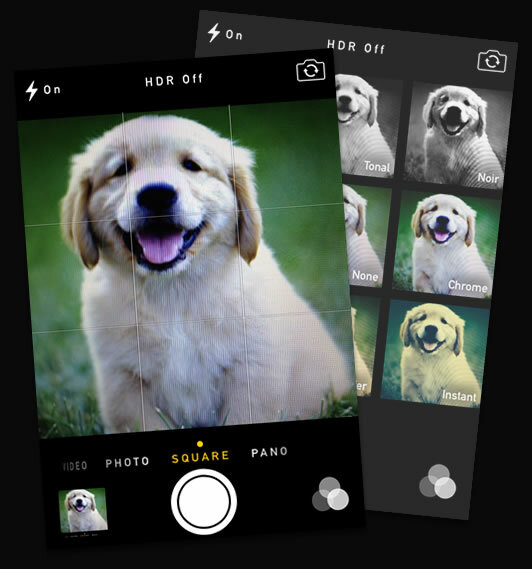 They’ve also included some real-time photo filters, even though most people would probably just add filters to their photos in Instagram. Multitasking – Finally! Now you can preview the screens of all the apps that you have open when you’re switching between them. All the while the apps keep content up to date in the background! I’m excited, are you?! App Store – Your app can now update themselves automatically so you don’t have to worry anymore! The new Popular Near Me feature is cool too as it allows you to see apps relevant to your current location. And you can now find age-appropriate apps within the Kids category of the App Store. iTunes Store – With the camera, you can scan the code on an iTunes Gift Card to redeem it. Finally! There’s also the iTunes Wish List which you can now add to and shop from. And now with songs you hear on iTunes Radio, you can preview and buy those songs. Siri – This has some pretty significant improvements! There’s now new and more natural-sounding voices for Siri, with Wikipedia, Twitter and Bing web search results. And you can change settings with Siri like your Wi-Fi connection, Bluetooth and the brightness of your screen. 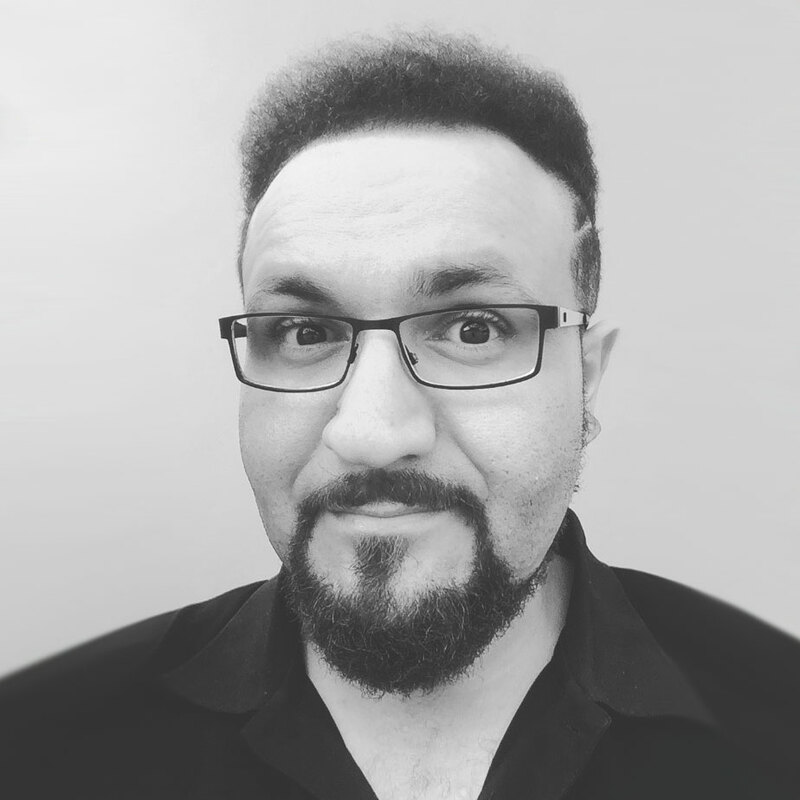 FaceTime audio calling – So you can finally just call and talk to someone via FaceTime without having to look at each other’s ugly mugs! Along with an endless list of bug fixes! Is there any real reason why I should update to this iOS 7 thingy? Well, if you want to keep up with the times, you’re going to have to update eventually! Because as technology continues to move forward, Apple will start to provide less support for older versions of iOS and Apple devices. That’s just how the cookie is going to crumble I’m afraid. Another reason to update to iOS 7 is, I believe there’ve been improvements in the iOS which help to better the battery life of your Apple devices. Personally I’ve found that this has been the case. So I’m not sure if it’s just me, but hopefully you notice that your battery holds its charge for longer too. This update would have to be the biggest leap in iOS for Apple compared to their previous operating systems – especially the new design. 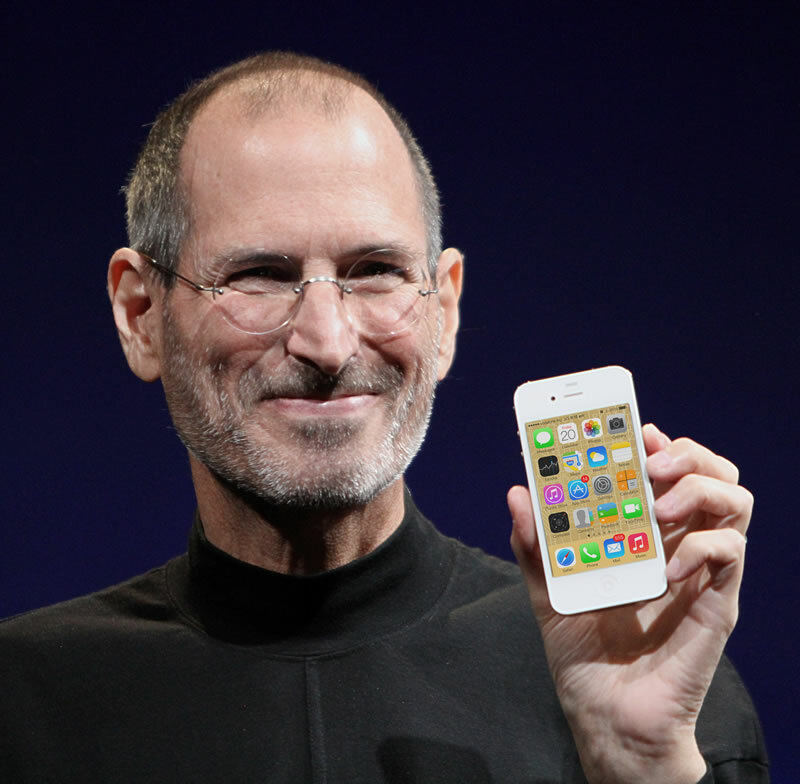 I’m not sure if Steve Jobs would’ve approved of the change in design, but let’s just hope he’s not rolling in his grave! Rest his legendary soul! Anymore possible questions you’d like to add? If you do have anymore questions, please share them in the comments below. Or maybe there’s some features and improvements that you specifically like which you’d like to share with us.